Buying a new set of wheels is becoming a rage in Bollywood with a actors getting themselves a swanky car of bike every now and then. 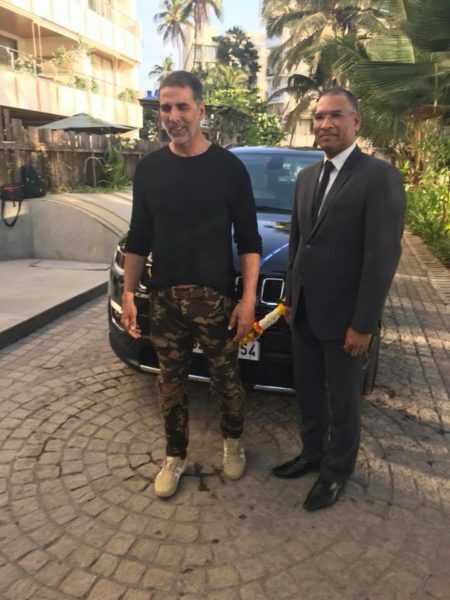 The latest to join the list is Padman starrer Akshay Kumar, who recently bought a brand new Jeep Compass. Images of the actor taking delivery of his compact SUV were recently shared on the web. Many Bollywood personalities have found a liking for the iconic brand from FCA including Saif Ali Khan who owns a Grand Cherokee SRT and Jacqueline Fernandez, who owns a Jeep Compass. In the recent past, other Bollywood actors such as Kunal Kemmu and Arjun Kapoor bought a Ducati Scrambler Icon and Maserati Levante respectively. 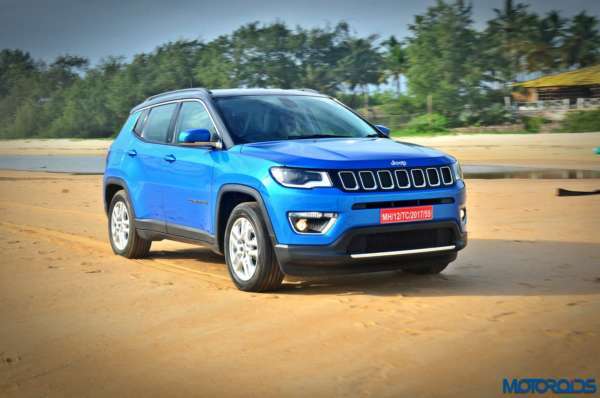 Coming back to the Jeep Compass, the model is available in India with two engine options including a 1.4-litre Multi-Air petrol unit and a 2.0-litre Multijet diesel unit. The petrol motor is tuned to produce 163 PS of power and 250 Nm of torque while the diesel unit produces 173 PS of power and 350 Nm of torque. Transmission duties are handled by a six speed manual gearbox as standard while a seven speed DDCT automatic transmission is available exclusively with the petrol variant as an option. Jeep also offers a 4X4 variant which is offered only with the diesel variant. Feature wise, the Jeep Compass comes equipped a seven inch touchscreen infotainment system, electric parking brake, capes fuel fill, Selec Terrain Management system and 60:40 rear split seats. The model also receives a host of safety features as standard across the variant range such as dual airbags, ABS, EBD, ESC, HSA, PBA and disc brakes on all four corners. Prices for the Jeep Compass. Prices for the Jeep Compass start at INR 15.16 lakh (ex-showroom, Delhi).